Protect your home or business with video surveillance. Installing cameras can be the key to deterring criminals from acting or, holding them accountable if they do act. 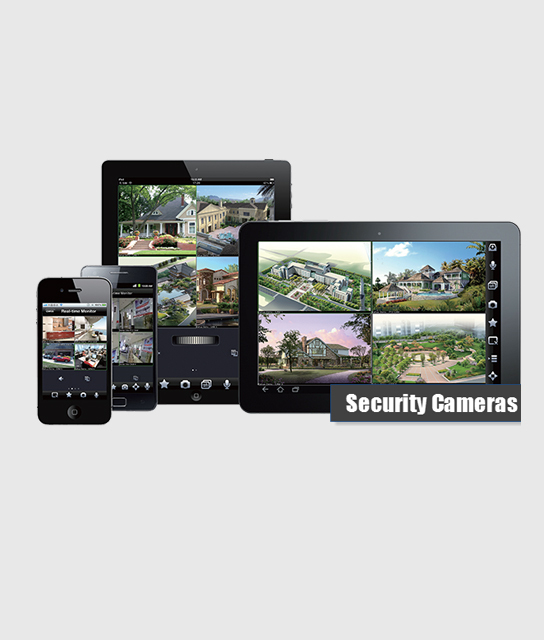 With remote video monitoring system, allows you to securely view live video of your home or business from any Internet connection or any of our alternate, which our electricians can easily integrate to work seamlessly with your existing alarm system. We can facilitate you to decide which one is best for you by sharing the reviews and ratings of the products , we get to see them practically work. Of course we'll try to give you cheap and affordable option. Empire Electrical Contractors has the solutions for you when it comes to your Security. Protecting your business building or home from burglars or any kind of external intrusions is of foremost priority for us. For achieving the same, Empire Electrical Contractors provides fixing of all kinds of latest developed Security Systems. Starting from Alarm Systems to Access Control, we provide every kind of Security to your building. These alarm systems are latest in security devices that are fixed in the buildings. Easy to install and perfect devices to capture the outdoor view of your buildings. Our electricians are thoroughly trained in fixing these alarms at your site whether industrial or residential. Infra Night Vision Cameras are one of the best security features that everybody must get fixed on their buildings entry. These cameras capture the views from all angles even in very dim or low light. Just a trace of light is required to capture the surroundings. These cameras comes in various shapes and we offer the fixing of every kind of cameras to protect your building from any unwanted external intrusions. Beyond installing the basic security systems on the site, one can even go for Keyless Door Entry System. These keyless doors come with a security code that needs to be entered while making an entry to the rooms. It keeps your building safe from any kind of suspicious entrants and even keeps you away from the hassles of losing the keys or hiding it under the mats. Keyless doors keep you secure and tension free and are quite in vogue now. Our team of electricians provides installation and service solution for customized access control for vehicles, limiting the chances of theft. Our electricians are perfectly trained in customizing the access control as per client’ demands for the vehicles. We offer end to end Building Management System for your building. It is a computer-based control system that tracks and monitors all the installed electric equipment’s such as lighting, fire alarms, security alarms etc. It allows you to control access and manage all the electrical supply from a central location. We specialize in installing high-quality and durable security systems that safeguard you, your family and your business. Our commitment to install quality products, proper technical support and timely completion of work has made us a trusted name in Sydney and around. Safeguard your business and family and call us if you require our services.